Blog posts of book giveaways and interviews with, and articles by, Christian authors. Leave a comment on THIS post by 6 p.m. CT Tuesday, August 19, 2014 to be entered in the DRAWING for a copy of the book below. If you mention in your comment that you’re a follower (see in the left sidebar “Join This Site” and “Follow by Email”), I'll add your name a second time in the drawing. U.S. mailing address required to receive a paper book. Read book giveaway details at Disclaimers . Please leave your email address. Winner announced in next Thursday's blog post. Michelle Buckman is the award-winning author of six novels: Pretty Maids All in a Row, A Piece of the Sky, Maggie Come Lately, My Beautiful Disaster, Death Panels, and Rachel’s Contrition. She is an international conference speaker renowned for her dynamic discussions on writing. 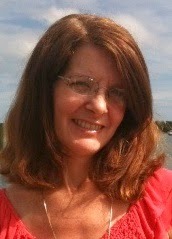 She lives in the Carolinas where her favorite pastime is walking along the beach for reflection and inspiration. Welcome, Michelle. If you could have dinner with one person from today or history (except Jesus) who would it be? I would love to have dinner with Anne Tyler. I greatly admire her ability to create wonderful characters with minimal words. She is my favorite author. Please tell us a little about your novel, Rachel’s Contrition. Although Rachel’s Contrition was released several years ago, it has gained renewed interest this summer because of the coverage of the traumatic cases of children being left in hot cars. I had heard such a case years ago as a short blurb on the radio and sat there stunned as I considered how dramatically such a death would impact the parents. How could they even speak to each other again? How could they get beyond the guilt and/or anger that would rise between them? I knew it was a novel I had to write. 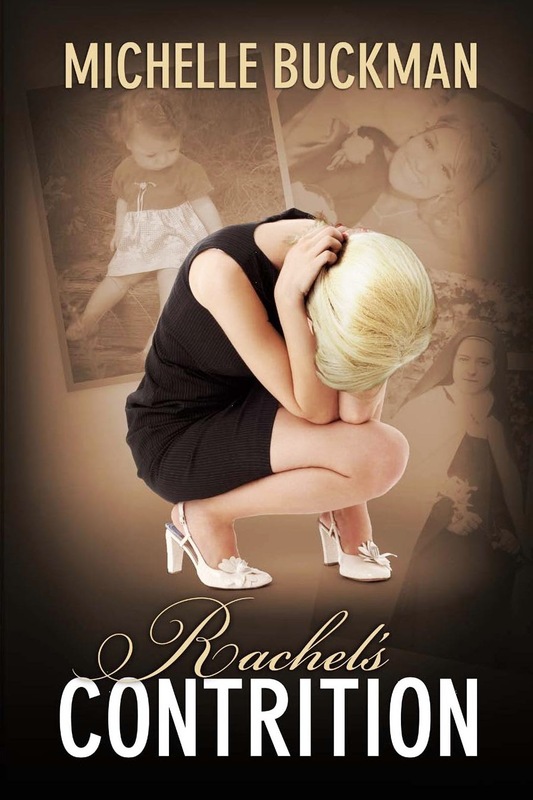 I did a lot of research as I wrote Rachel’s Contrition because I’d also witnessed friends and family recover from the loss of children, and I wanted to reflect real-life reactions to such tragedy. Ultimately, Rachel’s Contrition is about the healing process and the road back to life for one of these parents. I wrote it not to comfort those who have lost children, but rather for their loved ones to understand the deep grief and obstacles they are combating after such a loss. Rachel’s Contrition is a novel of grief, renewal and hope. I want readers to realize how much parents want to talk about their deceased children. Many people feel like they shouldn’t broach the subject of children who have died, but parents want just the opposite. They welcome the opportunity to share the feelings and memories they have bottled up inside. Where can readers purchase Rachel’s Contrition? If you purchase any of my novels for a book club, please contact me for a Q/A session via Skype, Facetime, or Google. Be sure to check out my other titles. New books will be released in 2015. Michelle, thank you for visiting with my readers and me. One of the commenters on this post will receive a copy of Rachel’s Contrition, which you have offered. The winner of last Thursday’s blog post for a copy of Jenny's Choice by Patrick Craig is rubynreba. I’ll email you. Thanks all for commenting. Watch for more book giveaways. What a heart rending thing to happen to a couple. And I so agree that couples who lose a child want to talk about the child. I have two friends, one who delivered a full-term still born and another whose baby died ten days after it was born--they had known for six months the baby would not survive long. And they love to talk about their babies who have gone on to heaven. Patricia, thanks for telling us about your two friends and their loss. Glad you left your comment. I hope the heartache of losing a child is never known in my family. My heart goes out to anyone who has suffered that great loss. Thank you for this opportunity and you know, Miss Jo, I am a follower! Melanie, I believe losing a child would be devastating to the parents. Even when a child is sick, no matter what age, parents suffer along with the child. Thank you so much for following my blog and for leaving your comment! Caryl, thank you for sharing with us about your sister's baby. You do look forward to seeing her again! Glad you stopped by and left your comment. thanks for the chance to read this emotional novel...I'm a follower, too!